“So how much does this pot cost?” It is a common question to ask when we see a pot. Well, the pot (in the picture below) cost only US$2 in 1979. It is a Yixing pot made of Zisha mined in Huanglongshan. The mining stopped in mid 90s. There are claims that there are still abundant of these real old zisha clay, but they are rarely seen in new pots from year 2000 onwards. The actual cost now? Perhaps 100 to 200 times or even more….the addition is for the warm and soul of the pot. 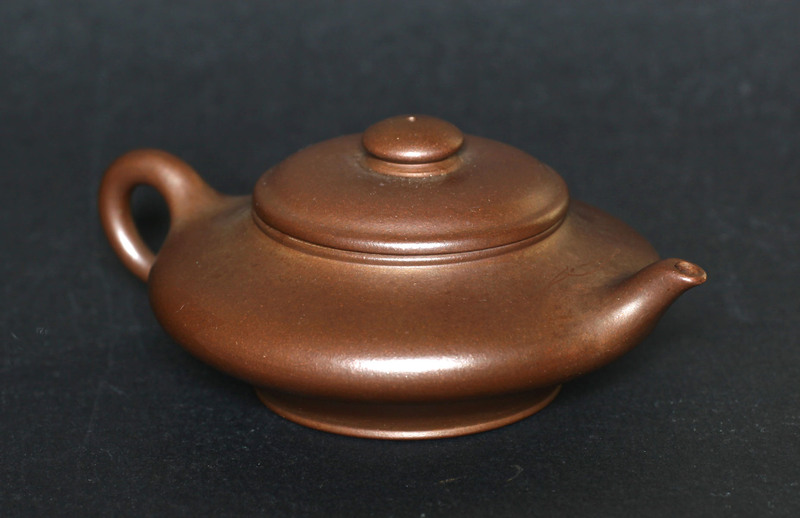 Yixing pots especially old ones have certain charisma which embodies the tea ceremony holistically. Tea connoisseurs love to nurture these pots. The value or affinity to the pot increases when the pot developed a beautiful patina. Most collector would treat these pots as their children and could hardly part with them at any price. Below are two pots done in 1979 by Yixing Factory 1, before (left pot) and after nurturing. Another pot that has been nurtured with a nice patina.